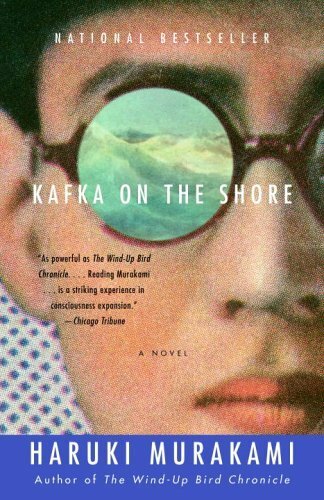 Kafka on the Shore hit so many of my buttons that I can hardly list them all. I have a soft spot for characters who live so much inside their head that they need to talk to other versions of themselves, so Kafka hooked me right from the beginning with The Boy Named Crow, who keeps teenage Kafka company. The novel also has enough intertextual shout-outs and allusions to classical literature to keep my English major/Latin minor heart happy. Murakami’s characters are also engaging. Nakata, the finder of lost cats, is quirky and endearing, especially as read by Sean Barett. And I adored Oshima. It’s rare to see three-dimensional transgendered characters in mainstream fiction, but Murakami did a great job of making Oshima’s gender only one part of his personality, instead of his only defining characteristic. To tell you the truth, I don’t know yet quite how Kafka on the Shore has affected me. In some ways, I feel like I’m still chewing on it. I know I’m going to read it again, probably several more times. All I know is that, when I finished this novel, the world looked a little bit different to me. And really, isn’t that the mark of any good book? Thank you! Good suggestion for the RSS feed — I am still pretty new to blogging with WordPress, but I should be able to figure out how to manage that. Wanted to drop a remark and let you know your Feed is not working today. I tried adding it to my Bing reader account but got absolutely nothing. Thank you for letting me know! I will get that fixed ASAP.